Google “Distracted Driving” and you will get facts, figures and stats from all kinds of sources: TX DOT, AAA, the Federal Highway Administration, Stop Texts Stop Wrecks. Bottom line: using a cell phone while driving is extremely dangerous and accidents happen in a split second. Using a cell phone to talk or text is especially dangerous in a school zone. As you know, traffic in the Ella/Grovewood area is heavy in the mornings and in the afternoons and “traffic” ranges from walkers and bike riders to subcompact cars to SUVs, vans and school buses. Children are small and hard to see. In October, I spoke to Sinclair’s crossing guard and she told me that unfortunately it is very common to see drivers talking on cell phones and see drivers with their eyes downcast not looking ahead while driving through the school zone. And this happens when the lights are flashing and even when she blows her whistle and raises her crossing guard sign to get children across the street! Safety is the main concern and goal. Also, Texas has banned the use of handheld phones and texting in school zones. 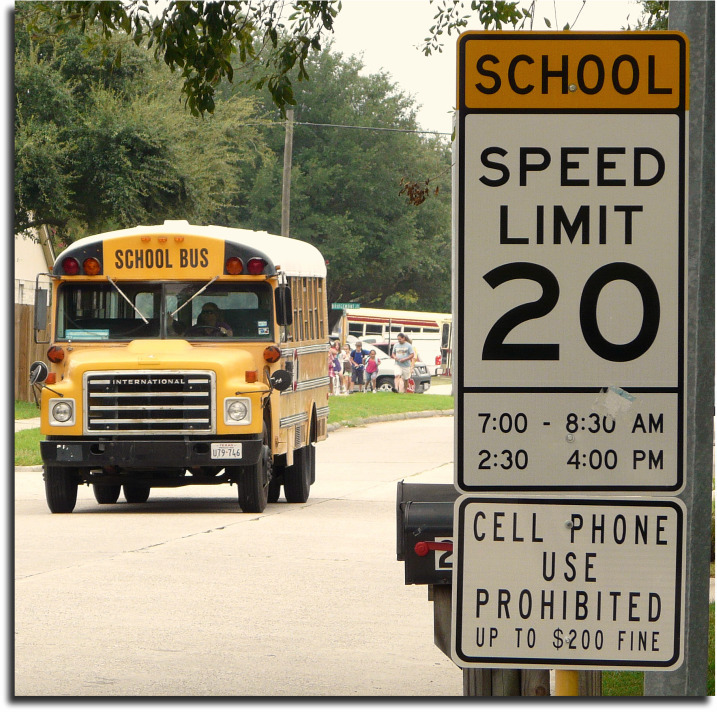 So, please refrain from this dangerous practice in our school zone, and remind others to do the same, for safety sake and also to comply with Texas state law.